Douglas Orzolek (M.Ed. 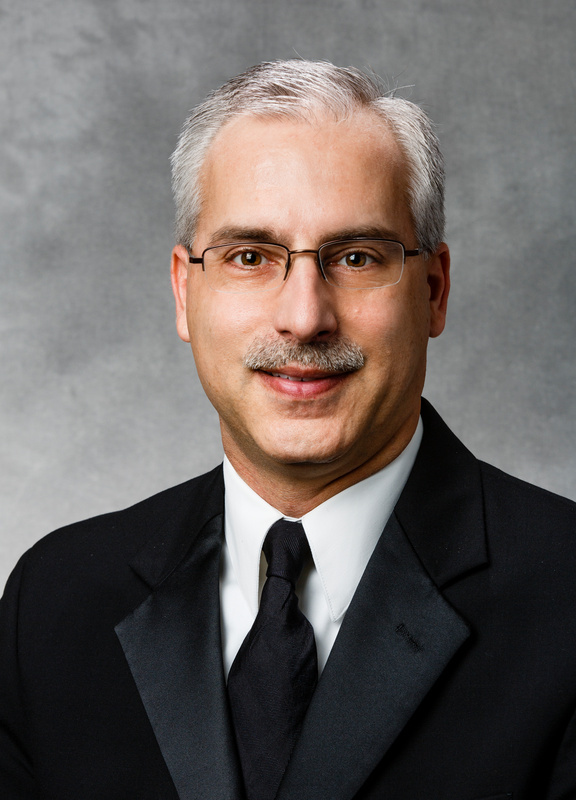 '93), associate professor and director of graduate programs in music education at the University of St. Thomas (St. Paul, MN), received the 2014-15 Minnesota Music Education Association (MMEA) Hall of Fame Award during the organization’s midwinter clinic. The ceremony was held Feb. 13 at the Minneapolis Hilton. The award is given in recognition for significant career contributions and service to music education in Minnesota. Up to six nominees may receive the award each year, and Orzolek was the only award winner this year. To be nominated, a candidate must be a current member of MMEA-NAfME (unless deceased) and must be an active music educator or administrator in music education in a Minnesota public or private school or institution of higher learning for at least 10 years who has made significant contributions to the music education profession. Candidates need at least three letters of recommendation; Orzolek received the most letters of recommendation in the history of the award. In addition to his responsibilities in music education, Orzolek also serves the university as associate director of bands. At St. Thomas, he teaches music education methods and techniques, conducts the Symphonic Band, and teaches musical acoustics, music literature, and conducting. He also teaches core classes related to instrumental music education and advises papers in both the master’s and doctoral level programs. Prior to his time at St. Thomas, Doug taught instrumental and general music at Vestal High School in Vestal, New York and was the director of bands at Thomas Jefferson High School in Bloomington, Minnesota. He received his bachelor’s degree from Mansfield University (Pennsylvania), and the Doctor of Philosophy in Music Education degree from the University of Minnesota. His dissertation on conducting pedagogy was nominated for the "Outstanding Dissertation in Music Education" award, and it was published by the American Bandmaster's Association in the Journal of Band Research. Orzolek is a past-president of the Minnesota Music Educators Association as well as a former MMEA Advocacy Chair. He has also served on the board of directors of the Minnesota Band Directors Association, the co-chair of the Minnesota Arts Education Standards Revision Committee, and several other committees related to music education and teacher preparation. He currently serves as the past-chair of the National Society for Music Teacher Education and was the local chair for the 2004 NAfME/MENC national conference. He has represented Minnesota on several national committees as well as at several national conferences. His thoughts and ideas have been published in the Journal of Band Research, WASBE Research Journal, the Journal of Music Teacher Education, Research and Issues in Music Education, the Music Educators Journal, Teaching Music, Interval, General Music Today and School Band and Orchestra Magazine. His publications also include several book chapters on assessment, the status of research in music teacher education and secondary general music education. He has made presentations at the NAfME national conference, the Center of Applied Research in Musical Understanding, the Midwest International Band and Orchestra International Clinic, the CBDNA national conference, and the International Symposium on Assessment in Music Education. He has also been a guest conductor for state, regional and conference honor band festivals. He also continues to serve as a curriculum consultant to several schools and districts. Doug was named to the Mansfield University Music Alumni Honor Roll in 2002 and received the Mansfield University "Distinguished Young Alumni" Award in 2001. In 2003, the students of St. Thomas named him the “Distinguished Educator of the Year" and he received the Minnesota ASBDA Distinguished Band Directors Award for 1999-2000. He is a member of several honorary music organizations including Phi Beta Mu, Pi Kappa Lambda, Kappa Kappa Psi, Tau Beta Sigma, and the Evergreen Club.